Please note that this truly is a very large and very heavy basket! To line this basket, we recommend either the MLTC8 (premolded) or CLTC24 (flat) coco liners. 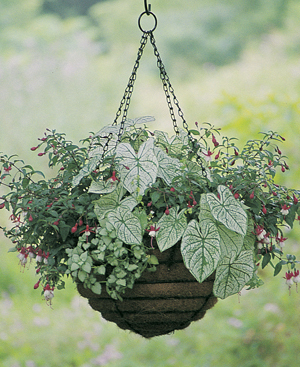 We do not recommend using the Hanging Plant Swivel Hook with this basket as the hook is only rated for 50 lbs. and these baskets can get very, very heavy. Im very impressed with my hanging basket, the way it was packaged to keep it secure during shipping, and the expediency with which it arrived. 5 star!